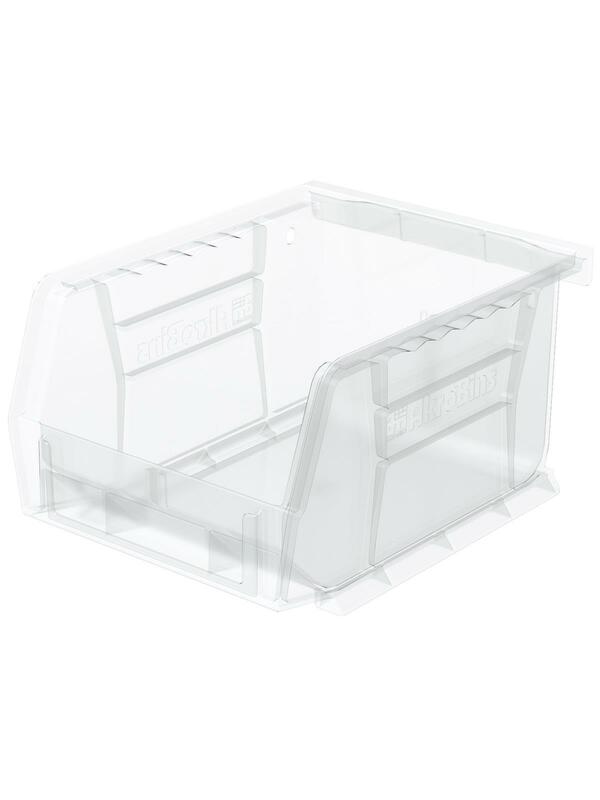 Organize inventory and keep parts in clear view with Clear AkroBins®. 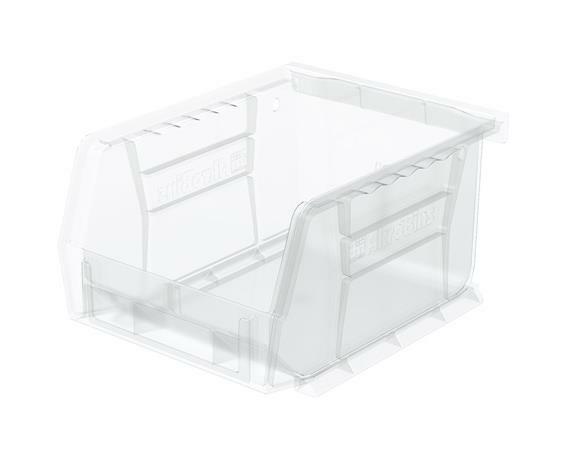 Heavy-duty bins securely stack atop each other and sit on shelving or hang from Akro-Mills louvered racks, panels, rails and carts. Sturdy, one piece construction is water, rust and corrosion-proof. Guaranteed not to crack or break under normal load conditions. Optional lids and dividers available. FOB Shipping Point.